Hey Google, take the wheel. After setting up the Bolt as a device in your phone’s Home app, Assistant will spring into action when you voice an “OK Google” prompt, and you’ll see four tell-tale circles on the front of the Roav, similar to the lights on a Google Home mini. As with Android Auto, you can use Google Assistant in your car to get directions, stream music from services such as Spotify and Pandora, and send messages. And you can also use it for nearly every other Assistant function, including checking the weather, making lists, setting reminders, and finding nearby parking. While Google has been steadily expanding Assistant’s capabilities to speakers and other smart devices, the Roav Bolt represents a new battlefield in its fight against Amazon’s Alexa assistant. Anker already makes a version of its Roav that brings Alexa to the car, and Amazon has an Echo Auto accessory that’s available by invitation only. 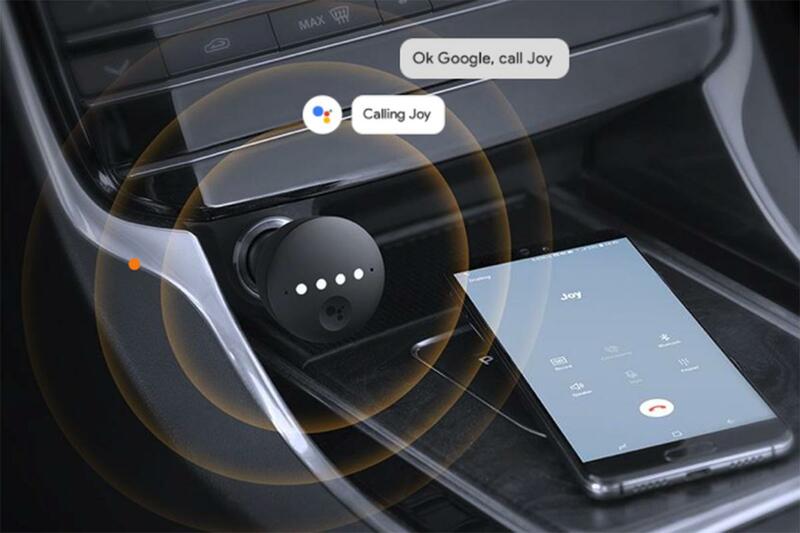 But perhaps most importantly, the Roav opens up hands-free, in-car Google Assistant access to iPhone users via the Home app. The Roav Bolt is avialble for pre-order for $50 with the first 200 orders receiving a free Anker charging cable.